I was pretty impressed with the rooms we got at The Disneyland Hotel. I loved kicking up the air conditioning to a frosty 68. Not very "green" of me, but dude! I've been sweating since March. Mama needed a break. The Disney designers really have an eye for detail. 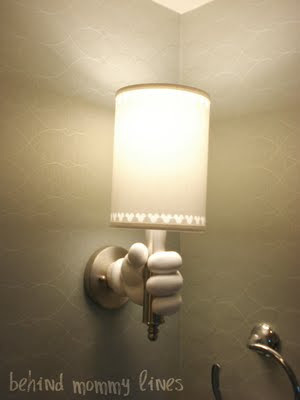 It's quite exciting to find all the Mickey themed tidbits in our room. I want these sconces for my house! 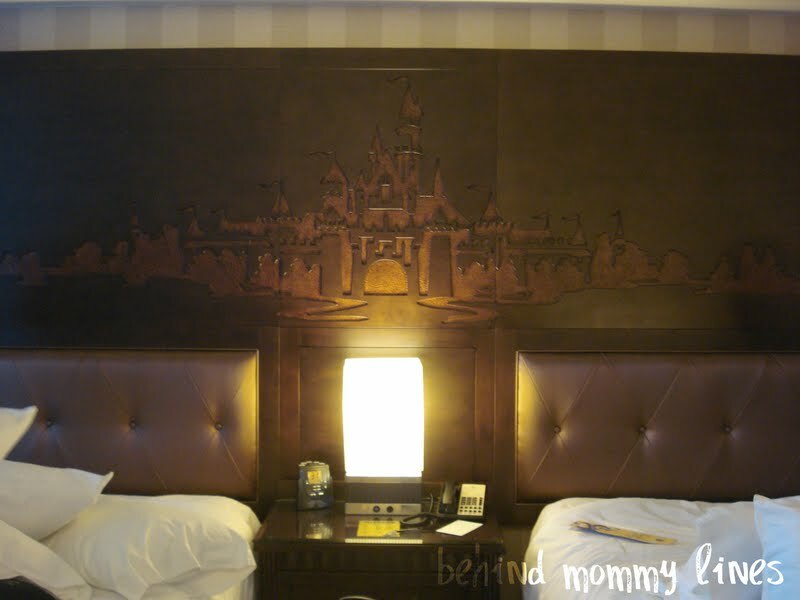 The headboards were the kids' all-time favorite, castles! Pardon the bed situation. According to the twins, freshly made beds need a good jumping on upon arrival. Your eyes do not deceive you, even though my photography skills are painfully lacking. 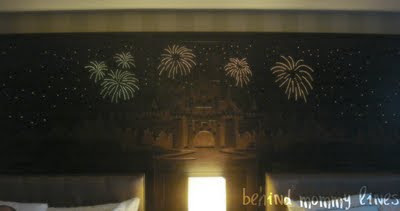 After a sweet little "when you wish upon a star" song played, the entire wall lit up with twinkling stars and fireworks. It was nothing short of amazing. - Parking is far from your room. Leave one tiny thing in your car, and you're in for a 15 minute walk out to retrieve it. Most of the time it wasn't worth it... hence the reason I left my guide in the car... and left it there for a couple days. 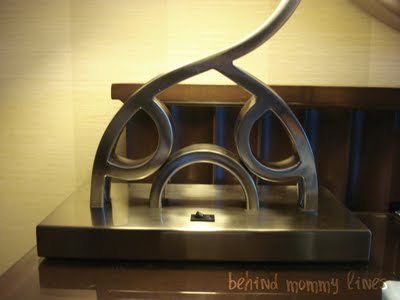 - As a guest of the hotel, you can take the Monorail from a station near the hotel into Tomorrowland. This would have been a bigger help except that the line to from Tomorrowland back to the hotel was always too long, so we ended up walking the entirety heading back to the room for naps. 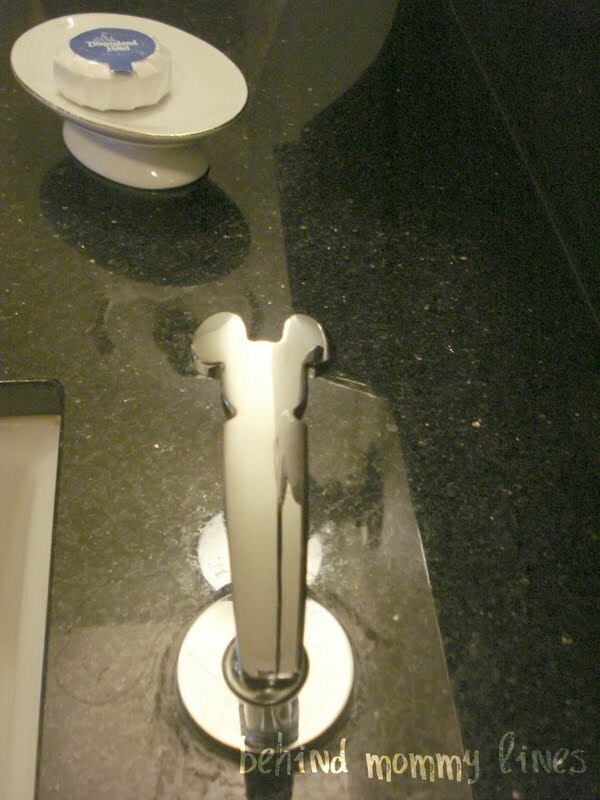 - The hotel is under some pretty major renovations at the moment. The pool is under constructions, so only a bit of it was open. What was open was fun for the older set- crazy enormous water slides. The little ones were happy, but pretty perturbed about being too small for the big slides. The girls are such beginner swimmers, the ten zillion people at the pool that day made me a bit nervous. They do supply life vests free of charge which is nice. I think we'd stay there again if we... won the lottery/struck it rich with oil in our backyard/pawned the girls off to Hollywood to become the next Mary Kate & Ashley Olson. All of which will never happen.